Orange County Photographer Ron Osmena has been in the new facility for 7 months now and is very thankful for all the clients who supported us this first quarter of 2016. We are excited to offer more this 2016 in our fun service studio! Printing, Design, Framing, etc. We are here to stay and we are here to capture your moments. 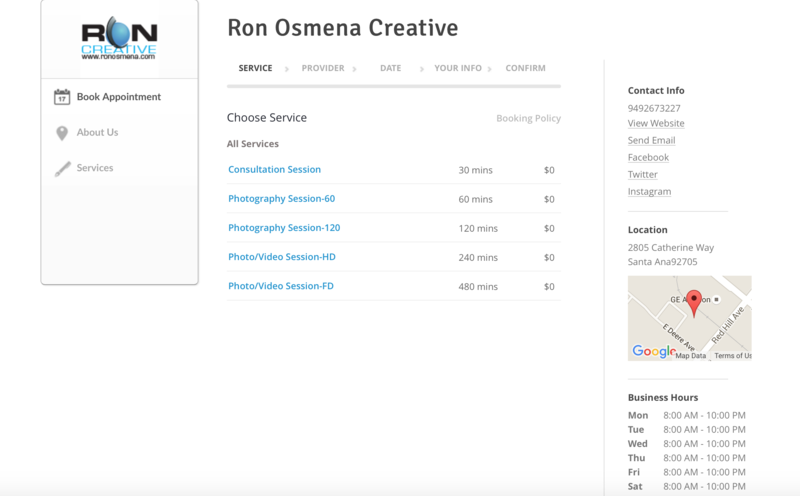 Ron Osmena Creative Studios is your premier Orange County Photography Studio offering a wide range of services such as portrait photographer, commercial photography, boudoir photography, videography, drone imagery, design, marketing and full printing services. Please feel Free to come visit our studio located at 2805 Catherine Way, Santa Ana, CA 92705 – You can also read my reviews on Thumbtack. We would be glad to quote you on your next project when you CONTACT US for booking information. We are here to delivery nothing the best for your project.